Meccanoplastica is excited to announce that our Model HL600/D is now being used by one of our customers in the Czech Republic. 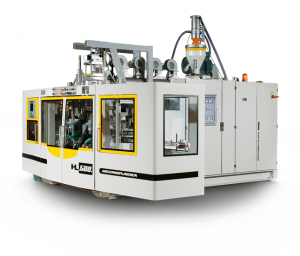 This model is part of our HL series Extrusion Blow Moulding machines. These systems are particularly suitable for very high production as well as the implementation of containers up to 15 litres in volume. Can make multi-cavity bottles for the cleaning, chemical and industrial sector, with volumes ranging from 1L to 15L. 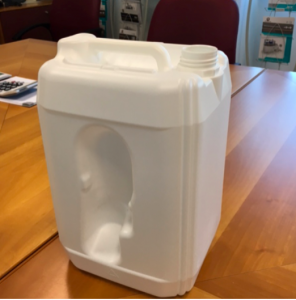 Our Czech customer is using the HL600/D to produce 10L stackable Jerry Cans with handle (see image below). The net weight of the container is 265 gr. During testing of the machine, the output reached 230 bph. 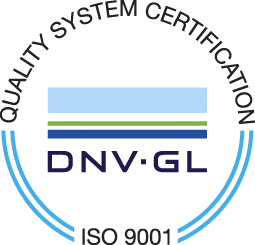 A sample made from the test was sent to the customer to get the “green light” to deliver the machinery. The customer was fully satisfied and authorized it, and the machine was moved from our Italian factory to the customer facility during last week of June.